In September, Conney Safety took home one of three “Best in Show” prizes awarded at the National Safety Council Congress and Expo. 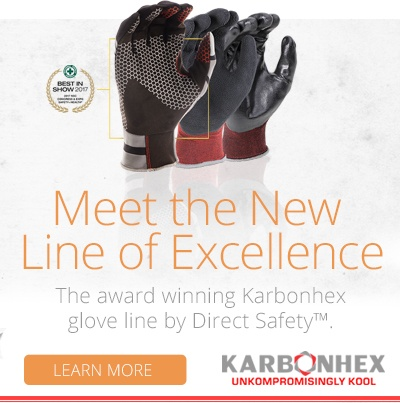 As the only distributor to win the honor, we wanted to connect with the Conney Safety team to learn about the design and development of their winning product – the Direct Safety Karbonhex Dusk Glove. On October 19, we met with Conney Safety Brand Manager Missy Taylor, the woman behind the new glove. Q: Thanks for meeting with us to talk about this exciting win for the Karbonhex Dusk Glove, Missy. Let’s start with a little bit about your role with Conney Safety and how that led to the creation of this new product. A: Well honestly, Conney Safety was just supposed to be a temporary gig for me! I have a background in music education. In 2001 I decided that it was time for me to make a change. Not knowing what I wanted to pursue next, I started at Conney Safety as a Mail/Fax Order Entry person on the Customer Service team. It wasn’t long before I began to back up the Customer Service leads, managing phone and special orders, and also using my education background to assist the Customer Service trainer. I was cross-trained on our warehouse processes and eventually became interested in our catalog production which really paved the way for developing my interest in product knowledge and marketing. I then began working as a Product Specialist in the Merchandising department, assisting a Product Manager. With the institutional changes Conney eventually went through, I was promoted to a Product Manager role working on a variety of product lines from 3M, Honeywell, etc. as well as our private label Direct Safety line. Needless to say, I discovered I really enjoy the safety industry. I have found it to be a rewarding career knowing that I have an impact on workers maintaining a quality of life by reducing or preventing injuries. I guess what I’m trying to say is, it’s not a temporary gig for me anymore, having been in the industry for 16 years. Q: How did your duties as a Product Manager evolve to eventually include major responsibilities like new product research and development? A: Part of my role as a Product Manager working on the Direct Safety line was to develop products under the private label. This involved me working with engineers to identify new or innovative technologies and features behind our products, as well as collaborating with our broader Marketing team on how we could leverage that and position ourselves within the market. Just this October, I took on a new role as Brand Manager, focusing exclusively on Conney’s Direct Safety private label, which includes working to develop new PPE products for the line and exploring our options for direct import of new products. A part of the new role has me working closely with the sales team in knowing how to position the Direct Safety brand with customers. Q: What was the process like for you taking on the task of developing and ultimately sourcing a totally new product? A: Prior to our partnership with WESCO, as a distributor Conney Safety would have had to hire a firm to manage the manufacturing process and quality control. The challenge and risk of that can be overwhelming, so we mainly partnered with our domestic suppliers. Since Conney was interested in exploring a direct import for the private label brand, I partnered with Emily Wang, the Branch Manager at WESCO CPC (China Procurement Center) and our consultant, Kyosay, for continual development of the Direct Safety brand. A year ago, our consultant and I spent two weeks in China with CPC to strengthen the relationships. While there, we visited several factories and met with the CPC team to develop a QA process. Consistency and reliability of product is very important to our customers. To ensure quality products, I worked closely with our consultant to write detailed product specifications and quality expectations. These specs are used by the factory for production and the CPC QA Team to ensure the product I order today is the exact same product I will receive a year from now. It was a really positive experience! I returned very pumped and excited about becoming a Brand Manager and getting to work with these people on the product line. In terms of how I felt about my new role with Conney, there’s always a little fear and anxiety when you take on something new – but in all my years at the company I’ve just tried to embrace it and move forward. I actually found that a lot of my anxiety went away once I was in China meeting with our partners. Everyone that I met with, whether CEOs at these facilities or people on their R&D teams, was very impressed with my level of product knowledge and expertise. Q: How did the design of the Karbonhex Dusk Glove progress during your time in China? A: I found that the Chinese factory manufacturing this glove designed it to suit the European market’s preferences and also to meet their safety requirements which are slightly different than ours. 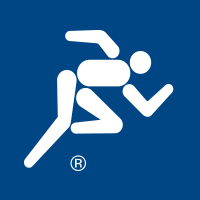 Part of my job was helping to come up with a product that made sense for the U.S. market Conney serves. In the safety industry we’re trying to target two groups at the same time. A portion of the U.S. workforce is aging and is very tied to old habits and loyal to old products and technologies they’ve relied on for years. You have to show them quality and easily tell them why this new product is even better than what they know and love. On the other hand, we have millennials coming up into purchasing positions who are more familiar with and expect the new fabrics, new technologies, etc. We had to make a glove that was interesting to both groups. That’s the Direct Safety Karbonhex Dusk Glove. Q: What are some of the features of this glove that set it apart from others available? A: The Direct Safety Karbonhex Dusk Glove is a general purpose glove that can cross multiple industries. It’s made from a 0.5mm fine gauge knitted fabric which allows the glove to fit like a second skin, as well as being very light and wicks moisture. It reduces hand fatigue and allows for greater dexterity. It has a silicone hex print for added grip and the synthetic leather AX Suede™ palm can outperform natural leather for abrasion protection. The glove also has touch recognition technology in the thumb, first and second fingers so it can be used with touchscreen devices like smartphones and tablets. Q: How did the New Product Showcase at NSC come into the mix? A: Part of my role with leading this project was to work with our Marketing team to develop a plan to promote this new product. We’ve been doing some traditional and paid media, promoting the glove on the Conney website and also on social media. We thought that the New Product Showcase at NSC would be a great way for the glove to gain exposure within the PPE world, but we were still a little while out from our production date. Our consultant was able to work with the manufacturing facility to secure a few pieces in advance for us to enter into the showcase. The win reinforces the message that Conney is an expert in the PPE space, and that we’re able to innovate and offer our customers the absolute best products in the market to do their jobs safely. Q: What does the “Best in Show” award mean for the glove and for Conney? A: To have the glove win Best in Show at NSC is huge because this award has never gone to a distributor before – it typically goes to one of the larger brands or manufacturers. There were around 130 new products entered into the showcase, so it’s awesome that the glove made such a splash. The win reinforces the message that Conney is an expert in the PPE space, and that we’re able to innovate and offer our customers the absolute best products in the market to do their jobs safely. A: We’re entering our normal production phase now, so the glove will be available on the Conney Safety website, and we’re running a promotion where customers can receive a free sample of the Dusk Glove, or any of the other seven models in our Direct Safety Karbonhex line. We really just want to get this glove into and onto people’s hands. Once they try it they’ll love it!